For the boxed set of the same name, see Led Zeppelin Boxed Set. Led Zeppelin is the debut album by English rock band Led Zeppelin. It was released on 12 January 1969 in the United States and on 31 March in the United Kingdom by Atlantic Records. The album was recorded in September and October 1968 at Olympic Studios, London, shortly after the band's formation. It contains a mix of original material worked out in the first rehearsals, and remakes and rearrangements of contemporary blues and folk songs. The sessions took place before the group had secured a recording contract and were paid for directly, and took 36 hours and less than £2,000 to complete. It was self-produced by Jimmy Page, the group's founder, leader, and guitarist. He was joined on the album by band members Robert Plant (lead vocals, harmonica), John Paul Jones (bass, keyboards), and John Bonham (drums). Percussionist Viram Jasani appears as a guest on one track. The album was mixed by Glyn Johns, and the iconic album cover showing the Hindenburg disaster was designed by George Hardie. The album showed the group's fusion of blues and rock, and their take on the emerging hard rock sound was immediately commercially successful in both the UK and US, reaching the top-10 on album charts in both countries, as well as several others. Although the album was not critically well-received when first released, critics have since come to view it in a more favourable light. Many of the songs were longer and not well suited to be released as singles for radio airplay. One single was released, "Good Times Bad Times". However, due to exposure on album-oriented rock radio stations during the 1970s, and growth in popularity of the band throughout the next several years, many of the album's songs have become classic rock radio staples. In July 1968, the English rock band the Yardbirds disbanded after two founder members Keith Relf and Jim McCarty quit the group, with a third, Chris Dreja, leaving to become a photographer shortly afterwards. The fourth member, guitarist Jimmy Page, was left with rights to the name and contractual obligations for a series of concerts in Scandinavia. Page asked seasoned session player and arranger John Paul Jones to join as bassist, and hoped to recruit Terry Reid as singer and Procol Harum's B. J. Wilson as drummer. Wilson was still committed to Procol Harum, and Reid declined to join but recommended Robert Plant, who met with Page at his boathouse in Pangbourne, Berkshire in August to talk about music and work on new material. Page and Plant realised they had good musical chemistry together, and Plant asked friend and former band-mate John Bonham to drum for the new group. The line-up of Page, Plant, Jones and Bonham first rehearsed in September 1968, shortly before a tour of Scandinavia as "The New Yardbirds", performing some old Yardbirds material as well as new songs such as "Communication Breakdown", "I Can't Quit You Baby", "You Shook Me", "Babe I'm Gonna Leave You" and "How Many More Times". 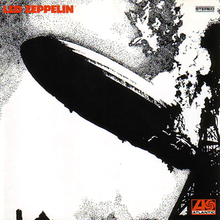 After they returned to London following the tour, Page changed the band's name to Led Zeppelin, and the group entered Olympic Studios at 11 p.m. on 25 September 1968 to record their debut album.